The Soulful Marriage Conversations Podcast, delivering hot topics, insider secrets and the reality of real life marriage experiences. Learn the truth about what it really takes for women to build loving supportive relationships, overcome the feeling of being alone in marriage and eliminate the fear of a failing relationship with your partner. 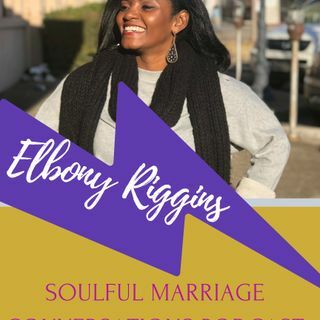 Your host Elbony Riggins, is a certified Relationship Coach, using her intuitive superpower to guide introverted entrepreneurial women to build, save ... See More and restore their marriages. Join Elbony each week as she have conversations, Q &A's and interviews to help women connect with themselves and their partners, marry their vision and become the solution for change to produce loving supportive relationships.